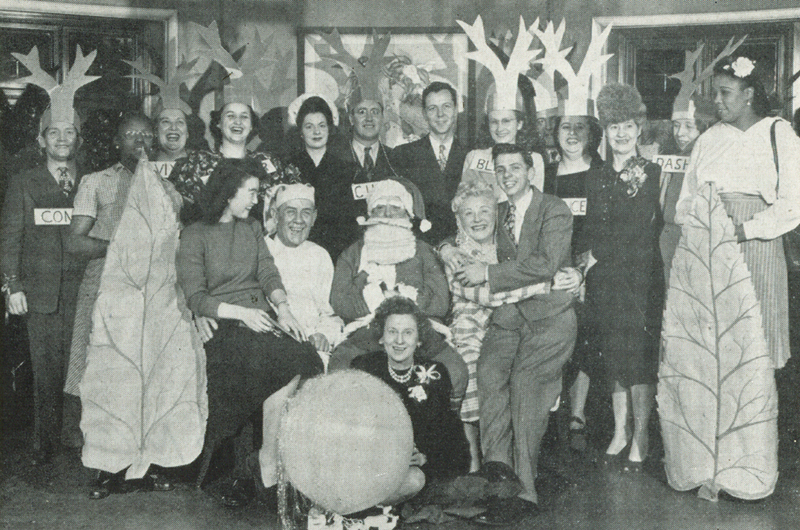 Members of the St. Luke’s Hospital staff donned costumes to perform “Twas the Night Before Christmas” for other employees in December of 1946. St. Luke’s Hospital was a predecessor of Rush University Medical Center. You can contact the Archives at rush_archives@rush.edu or at (312) 942-7214. This entry was posted in Rush Archives and tagged christmas, Rush Archives, Rush University Medical Center, st. luke's hospital. Bookmark the permalink. Are any of these employees still alive?